The Most Thrilling Fishing Experience! My name is Steve Kaye and I am the Sturgeon Hunter. My sturgeon guides and I are passionate about catching you big white sturgeon! 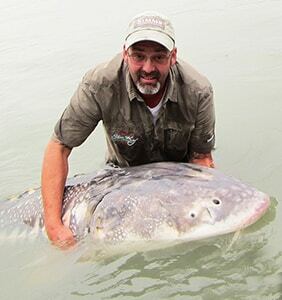 I have been in the fishing industry professionally since 1994 and have learned a thing or two about what it takes to be a professional Fraser River sturgeon fishing guide. Everyone loves a challenge – and that’s exactly what Sturgeon fishing on the Fraser River is all about. Sturgeon are everything you could hope for in a big game sport fish. They are powerful and explosive fighters and often leap from the water multiple times when hooked. Spend a day on the Fraser River with us and we will show you the thrill of reeling in North America’s biggest freshwater fish. At Sturgeon Hunter, our expert sturgeon fishing guides know the Fraser River – and, most importantly, they know where to find the sturgeon. 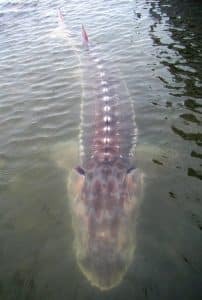 Most Sturgeon caught on the Fraser River vary in size from three to six feet in length, at Sturgeon Hunter we specialize in targeting large trophy Sturgeon. Every season we consistently catch more than our share of big fish from seven to over eleven feet in length and weights ranging from 200 to 800 pounds. At Sturgeon Hunter we purposefully and strategically hunt for the biggest fish possible! We have a 98% success rate all year and you also have a 50% chance, or better, of hooking one or more sturgeon that exceed 100 pounds every day on the water with us! Our heated, covered aluminum jet boats make it possible to enjoy Sturgeon fishing on the Fraser River in any weather. From March to December, our expert Sturgeon fishing guides will lead you to the biggest fish the Fraser River has to offer. Since 1994, Sturgeon Hunter has provided amazing Sturgeon fishing charters on the Fraser River to thousands of anglers from all over the world. 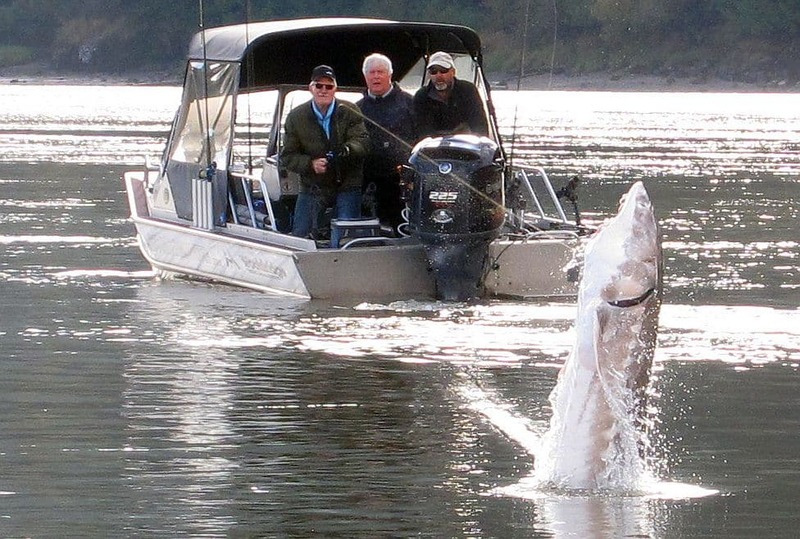 With our tried-and-true experience Sturgeon fishing on the Fraser River means you have a better-than-average chance at landing a trophy Sturgeon on any given day with Sturgeon Hunter. Sturgeon Hunter will provide you with the Fraser River Sturgeon fishing experience of a lifetime. 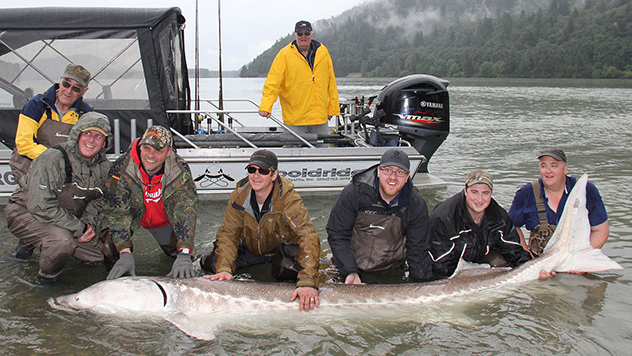 Each of our experienced Fraser River Sturgeon fishing guides are licensed and insured, and we will supply high-quality tackle and bait for each passenger on your excursion. At Sturgeon Hunter, we can accommodate groups of all sizes. 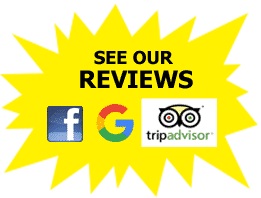 Our expert Fraser River Sturgeon fishing guides specialize in working with families, corporate groups, tourists and people from all walks of life. You don’t need to be an accomplished fisherman to enjoy one of our Sturgeon fishing adventures; we can lead you through the fishing experience of a lifetime, regardless of your experience level. We’re happy to work with children and first-timers as well as highly experienced anglers. At Sturgeon Hunter, we have a common goal: to help you find the biggest Sturgeon possible and have fun while we’re doing it. You’ll find that our expert Fraser River Sturgeon fishing guides are as eager to watch you catch a record-breaker as you are to reel one in. 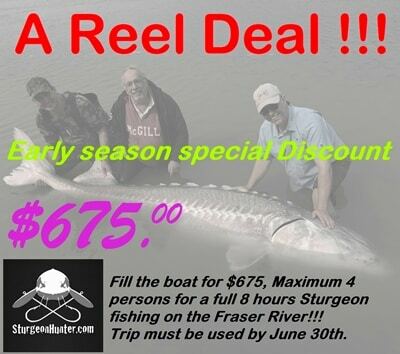 Schedule Your Fraser River Sturgeon Fishing Trip Today! Contact Sturgeon Hunter at (604) 612-7850 or send us an email to schedule the Fraser River Sturgeon fishing trip of a lifetime today. We’ll share your excitement and book your trip so you, too, can experience the thrill of catching North America’s biggest freshwater fish. © Copyright 2019 Sturgeon Hunter Fishing Charters. All Rights Reserved.